The Vancouver Economic Commission’s (VEC) annual Digital Entertainment Career Fair returns to downtown Vancouver on April 6, 2019. For the event’s eighth year, Netflix has been named as the presenting sponsor, which is a signal of the streaming giant’s interest in turning Vancouver into one of its major production hubs for animation and visual effects. Both Netflix and Amazon Prime have announced increases in their animation spends for commissioned content, with their budgets set to double in 2021. 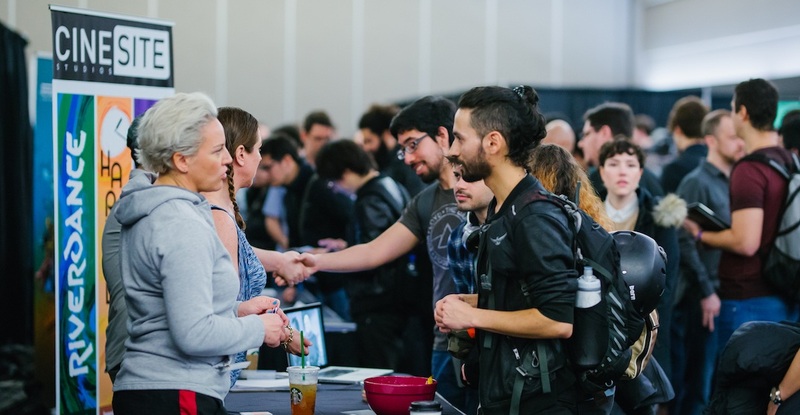 Over 50 companies and schools are expected to be present at the free one-day job fair, which is billed by organizers as the largest hiring event for the digital entertainment industry in North America. This event was attended by over 3,000 people in 2018. This year, employers present at the job fair are looking to fill over 400 positions, with attendees being provided with an opportunity to meet face-to-face with people who will be handling applications. “Over 40,000 professionals work in Vancouver’s digital entertainment sector, but the industry boom creates jobs faster than locals can fill them, which is why we also welcome fresh talent from surrounding regions like Edmonton, Calgary and Seattle,” said Nancy Basi, Executive Director of Media & Entertainment at VEC, in a statement. VEC anticipates 2019 will be a banner year for Vancouver’s animation and VFX sectors, as the industry will crack the $1 billion mark for the first time — up from $324 million in 2012. Moreover, Vancouver’s overall film and television industry will also exceed $4 billion for the first time this year, effectively securing its place as the third largest production centre in North America, just behind Los Angeles and New York City.